Last summer our RUBY designer Deanna Didovich’s eye was drawn to a sketch pinned on her moodboard. Fluid sweeps of black ink imbued with expression by a confident hand. On Friday 26th September, we are delighted to present RUBY x GATTOBRAVO - a limited edition capsule collection in collaboration with enigmatic illustrator GATTOBRAVO. London-based, with a penchant for fashion and travel, a nom de plume meaning ‘good cat’ in Italian and drawings for Vogue, Vanity Fair, Harper’s Bazaar and Dior as strings to her bow. RUBY x GATTOBRAVO showcases an impeccable edit of très jolie dresses, playsuits, skirts, shorts and tops, punctuated with an essential set of summer slides, a slouchy sport sack and a quintessentially chic fedora. Studded with candy-coloured jewels, awash with Breton stripes and featuring two signature GATTOBRAVO prints in bold leopard and watercolour raindrop, the fifteen-piece collection is wearable, covetable, collectable, with a hint of French flair. 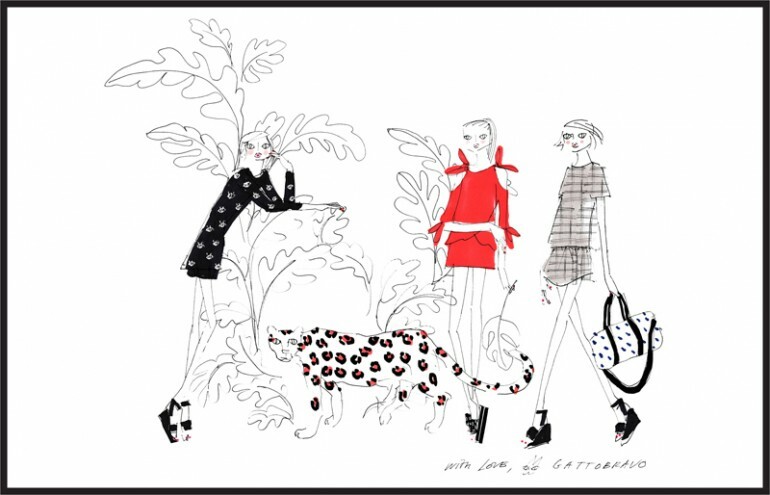 The RUBY x GATTOBRAVO girl has been brought to life in the collection’s campaign, illustrated by GATTOBRAVO herself. 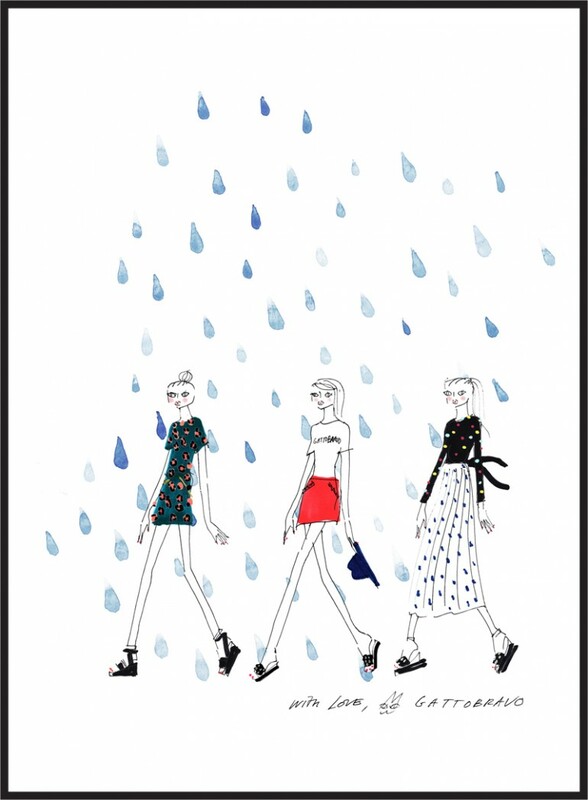 RUBY x GATTOBRAVO launches at all RUBY stores and online at www.rubynz.com at 9.30am on Friday 26th of September. Stay tuned for our full RUBY x GATTOBRAVO lookbook! What do you love most about your role at M.A.C Cosmetics? I love that I get to be creative everyday with makeup. Not only do I get to make people feel beautiful, but I love makeup as an art form, as a way to create art on the face. Everyday is so different, from working on a fashion campaign to creating makeup for the Royal NZ Ballet - this diversity is so inspiring! And I get to work with such a wide range of talented people, such as designers, photographers, stylists, hairdressers and creative directors. What's your favourite makeup job to date? Working with the M.A.C team backstage at Milan Fashion Week this year was an amazing experience. 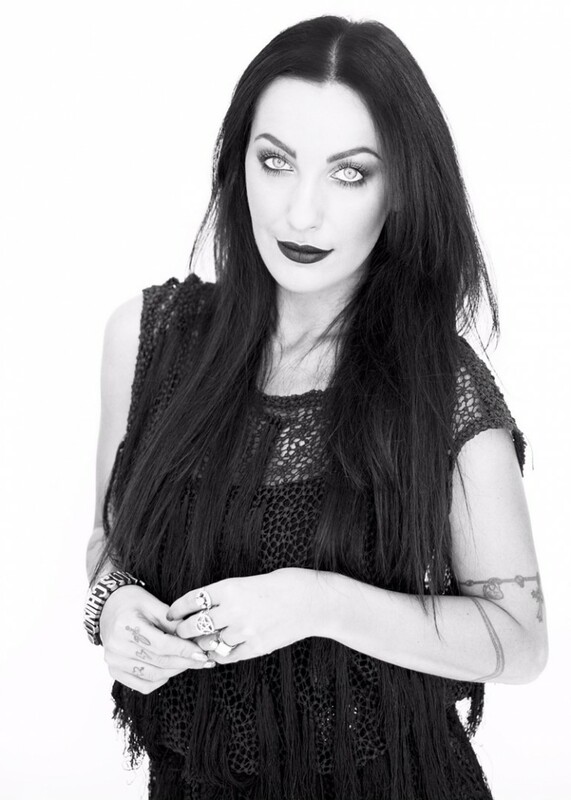 It was such an honour to work alongside my makeup heroes, and the clothes were pretty good too! 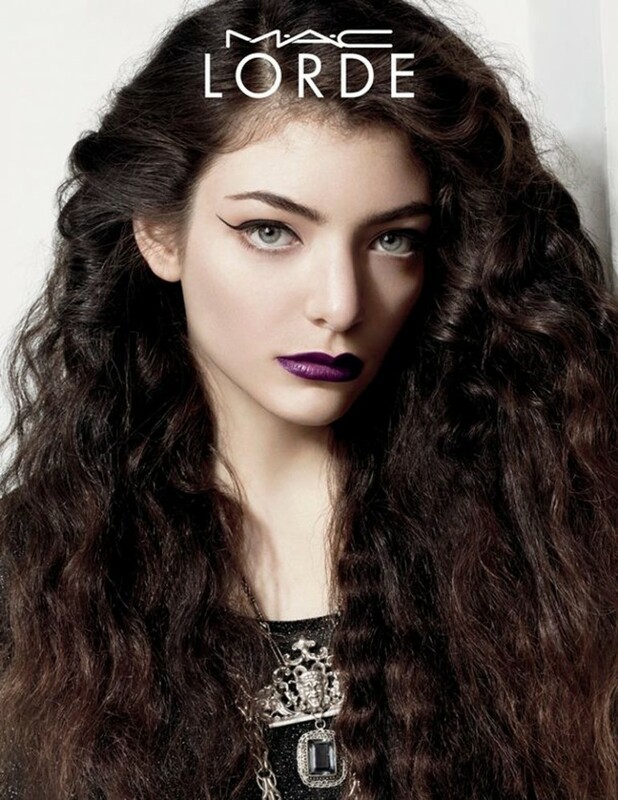 I am also very proud that the makeup I did for Lorde was used for the M.A.C x Lorde collection visual. It's pretty exciting to see your makeup, full scale, in M.A.C stores all around the world! The importance of creating beautiful glowing skin - if the base looks great, you can add a lot of colour product but the makeup still looks beautiful, rather than heavy. My must-have skin products are M.A.C Prep and Prime Natural Radiance, M.A.C Face and Body Foundation and M.A.C Pearl Cream Colour Base. RUBY girls are known for their love of a bright M.A.C lipstick. What’s your favourite go-to colour? I will always be a red-lipstick-girl. My all time favourite is M.A.C Ruby Woo, a vibrant matte red. I always wear it with M.A.C Kiss Me Quick Pro Longwear lip pencil, so I can keep it perfectly in place all day. It's my go-to colour to instantly feel like you can be Wonder Woman for the day! I love a matching classic red nail. What exciting things are you working on next? I'm getting very excited about working backstage with the M.A.C team at New Zealand Fashion Week. It's always busy and manic, but I love the fast frantic pace of working backstage at shows. It sounds ridiculous, but I miss the craziness when it's all over. I'm also excited about our new store opening in Ponsonby in October! Black, Leather & Rock n Roll. What are your top five RUBY & Liam picks? Obviously I wear a lot of black, so I love the Jeanne-Claude Dress, Pont Neuf Gown and Biscayne Pantsuit all in black, from the beautiful Liam collection. Come the summer holidays, I celebrate by dressing as differently as I can. The RUBY Angels Bikini and Love Letter Blouse would be my perfect summer 70's groupie look. Inspired by the sunburnt deserts of California, our RUBY Diamondsspring/summer 2014 collection launches in stores this Saturday July 12th. 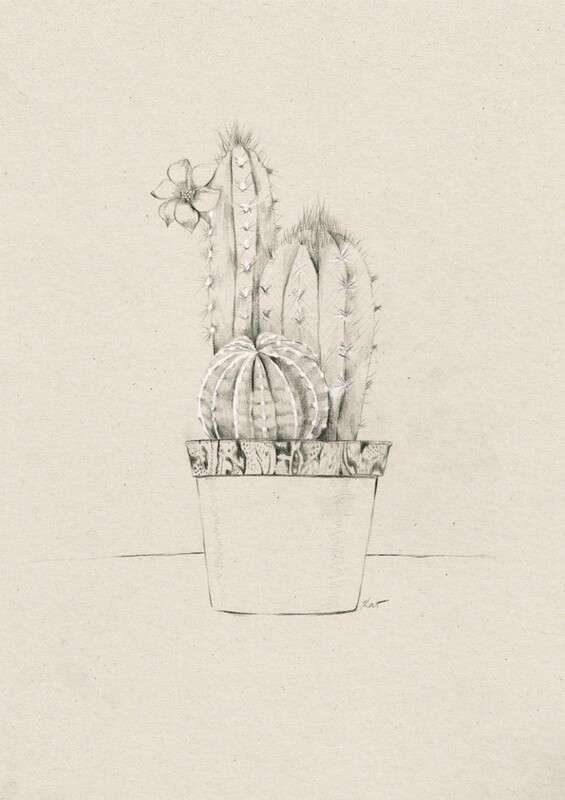 To celebrate, we've teamed up with talented artist and our friend Kelly Thompson who has created a limited edition cactus illustration for us - think Palm Springs! 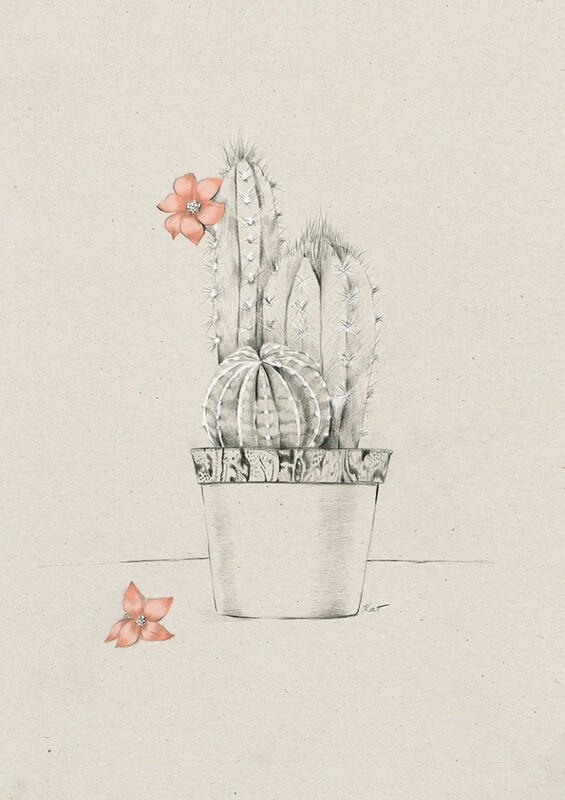 I was commissioned to do a pretty illustration of a cactus inspired by Palm Springs. My brief for this project was that the image would be on a simple neutral palette and had to include a pattern similar to the collection's key Baja print. I began by figuring out with the RUBY team the level of detail needed in the print and the best kind of cactus to use. 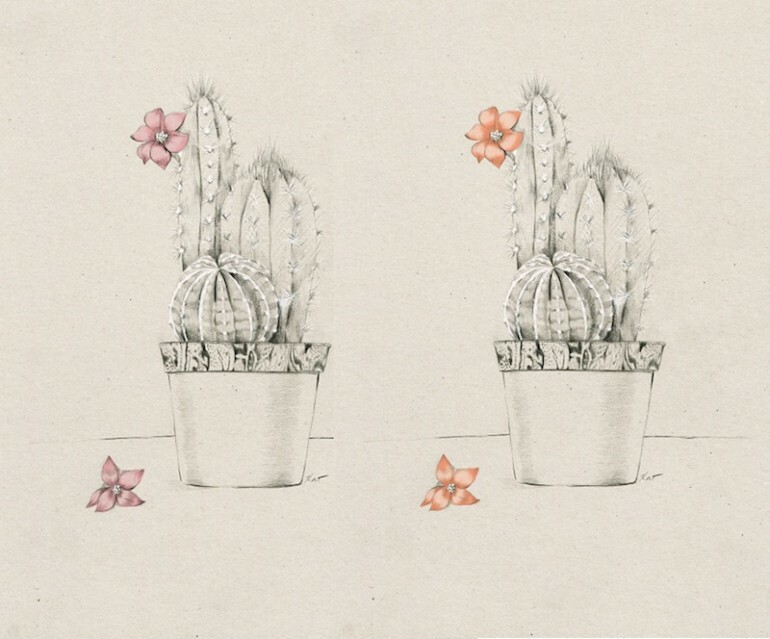 I sent through some examples of my other botanical work and also a selection of different cacti. Showing clients pieces from your own folio is a really great thing to do at the start before drawing anything, it can save a lot of time on revisions if you know the exact style they are after. From here I worked up my first sketch with some great references supplied by RUBY. This meant I was able to skip a round of rough compositions and move in to a more revised sketch. After showing these to the RUBY team, simple revisions were made to include a little more shading on the pot and the addition of a second fallen flower. From here we focused on colour and together decided that only the flowers would be coloured, so I sent through a revised illustration with an extra flower and my first round of pink colouring. 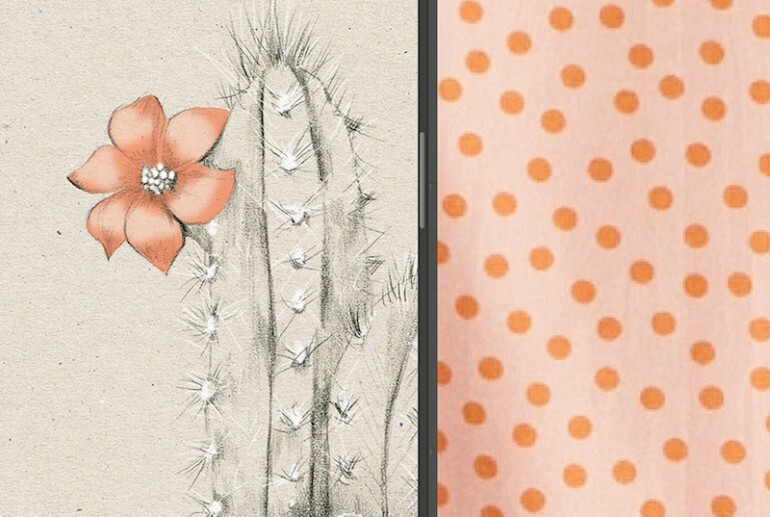 To tie in with the collection I based the flower colours around the Ace spot print and created several tonal options ranging from an orange-based lolly pink to a peach. The peach option won all round and the image was signed off to be printed, completing a breezy design job.